I read this article and found it very interesting, thought it might be something for you. 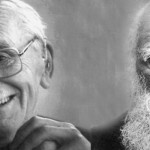 The article is called Love Hayek, Love Darwin and is located at http://evonomics.com/love-hayek-love-darwin/. In my last essay on Hayek I distinguished between the flesh and blood man and the ideological monster that was created in the 1940s and continues to lumber around uttering his two-word sentences. “Government bad! Market good!” That didn’t sit well with some Hayek enthusiasts (you’d think they would applaud my effort), but fortunately we can begin to understand the man and his ideas by letting him speak for himself. Here is a transcript from a television interview that is available on You Tube. I have colorized the passage for reasons that will become clear below. Hayek: Our basic problem is that we have three levels of moral beliefs. We have in the first instance our intuitive moral feelings, which are adapted to the small person to-person-society, where we act toward people that we know and are served by people that we know. Then we have a society run by moral traditions, which unlike what modern rationalists believe are not intellectual discoveries of men who designed them, but they are an example of a process that I now prefer to describe by the biological term of group selection. Those groups that quite accidentally developed favorable habits, such as a tradition of private property and the family, succeed but they never understood this. So we owe our present extended order of human cooperation very largely to a moral tradition, which the intellectual does not approve of because it had never been intellectually designed. And it has to compete with a third level of moral beliefs; the morals that intellectuals design in the hope that they can better satisfy man’s instincts than the traditional rules do. And we live in a world where the three moral traditions are in constant conflict: The innate ones, the traditional ones, and the intellectually designed ones…You can explain the whole of social conflicts of the last 200 years by the conflict of the three moral traditions. Interviewer: I’d like to approach the question of the future society from a different standpoint. One of the principle criticisms that one gets of a liberal individualist society is that it’s selfish; that it’s not an altruistic society. Whereas socialism, whatever flaws it has in terms of inefficiency, is a society where we all look after the weakest, the sick, and so on. 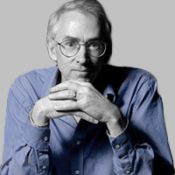 What role do you see for altruism in a liberal individualist society? Hayek: The altruism is an instinct we’ve inherited from small society where we know for whom we work, who we serve. When we pass from this—as I like to call it—concrete society where we are guided by what we see, to the abstract society which far transcends our range of vision, it becomes necessary that we are guided not by the knowledge of the effect of what we do but with some abstract symbols. The only symbol that takes us to where we can make the best contribution is profit. And in fact by pursuing profit we are as altruistic as we can possibly be. Because we extend our concern to people who are beyond our range of personal conception. This is a condition which makes it possible even to produce what I call an extended order; an order which is not determined by our aim, by our knowing what are the most urgent needs, but by an impersonal mechanism that by a system of communication puts a label on certain things which is wholely impersonal. Now this is exactly where the conflict between the traditional moral—which is not altruistic, which emphasizes private property, and the instinctive moral which is altruistic, come in constant conflict. The very transition from a concrete society where each serves the needs of others who he knows, to an extended abstract society where people serve the needs of others whom they do not know, whose existence they are not aware of, must only be made possible by the abandonment of altruism and solidarity as the main guiding factors, which I admit are still the factors dominating our instincts, and what restrains our instincts is the tradition of private property and the family, the two traditional rules of morals, which are in conflict with instinct. The conclusions that Hayek draws from his premises are another matter. In my humble opinion, they require updating. But there’s no point discussing the conclusions that follow from a set of premises unless the premises are first accepted. Discussions centered on Hayek are therefore discussions centered on economics from an evolutionary perspective. This will come as a surprise to a lot of Hayek enthusiasts, who manage to endorse his view of economics, deny evolution, and maintain a pious stance toward religion all at the same time. This absurd combination of beliefs is what passes for economic discourse in the popular sphere—and economic experts who know better somehow allow it to happen. I look forward to discussing the conclusions that follow from Hayek’s premises with people who have a serious commitment to science and scholarship. In the meantime, the next time you meet a free market fundamentalist, remind him or her that loving Hayek requires loving Darwin. This entry was posted in Economics and tagged Darwin, Hayek. Bookmark the permalink.